Every so often you can encounter a film that feels like it is treading familiar ground, like it is several films you have seen before all rolled up into one. As original a filmmaker as Atom Egoyan can be, his 2015 film Remember can feel as such in most parts, but thankfully an intense, complex performance from lead actor Christopher Plummer, and a few unexpected (though sometimes contrived) developments along the way do enough to make this drama/thriller worth the watch. The opening scenes of the film immediately reminded me of Christopher Nolan’s far superior Memento, as Remember’s lead character Zev (Plummer) suffers from a similar memory loss brought on by dementia, and instead of tattooing his body to remind himself of his goals, Zev carries a letter provided by his friend and holocaust survivor Max (played by the late and great Martin Landau). Zev too is a holocaust survivor, and following the death of his wife along with his diminishing mental state, Max sends Zev out to seek vengeance on the Auschwitz guard responsible for the deaths of their families, whom Max has narrowed down to four different people under the same name. Remember’s undeniable similarities to Memento hurt the film in its early scenes, largely due to the fact that the story in the latter is told in a much more intriguing manner. Nolan intentionally gives us as much information as the main character, which makes for a masterfully subjective and unpredictable experience. Remember on the other hand is initially very predictable, and when Zev forgets where he is and what he is doing, he eventually reads the letter to remind himself of what we the audience already know. 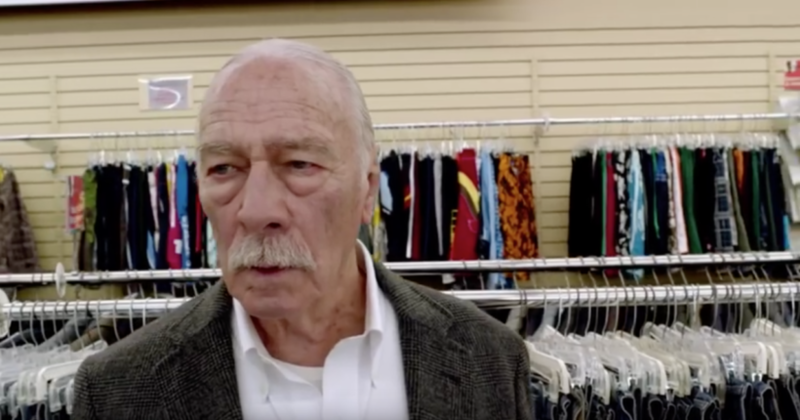 It is a good thing that Egoyan’s typical flare for emotionally damaged drama is as strong as ever here, with Plummer carrying the film like the seasoned thespian that he is, conveying the emotional nuances that make us sympathise with Zev each time he remembers that his wife is dead. As Zev begins to track down the potential Nazis, predictability rears its head time and again…or so I ignorantly thought. It quickly becomes obvious that, to allow the story to play out, the person he is seeking will be the last person he visits, and so I began to feel like I was going through the motions. But a little after the halfway point, there is a scene that patiently builds tension to the point of violent conflict, which caught me by genuine surprise. From there the film begins to tie together the narrative threads it had been building throughout, which unravel a little too conveniently to be considered totally believable, yet it still culminates in a closing sequence that once again caught me off guard, while Egoyan’s direction shines brighter than in any other part of the film. It is as though screenwriter Benjamin August, aware of the familiarity in his own script, cleverly uses this inherent predictability as a red herring to hide the revelations unveiled in the conclusion. Admittedly, Remember pales in comparison to Egoyan’s earlier works, as well as some of the films that influenced it. That being said, there are still enough smartly written, well-directed elements of the film to keep viewers intrigued, while an endearing lead performance and an unexpected ending manage to justify the means.